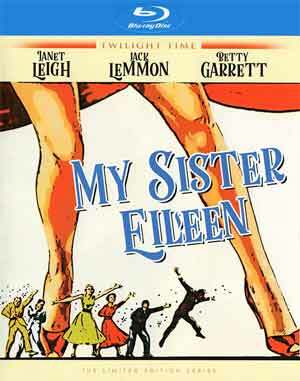 My Sister Eileen is a cute and fun 1950s-era comedy-musical with many of the tropes you would expect from the era, and all of it enjoyable thanks to three wonderful performances by Janet Leigh, Betty Garrett and Jack Lemmon. Two small-town sisters — an aspiring writer, Ruth (BETTY GARRETT), and a would-be actress, Eileen (JANET LEIGH) — move to New York City. They find lodging in a shabby apartment and struggle to locate promising gigs. Ruth eventually meets magazine editor Bob Baker (JACK LEMMON), who tells her to write about her life experiences rather than fiction. As it turns out, Eileen’s life, with her various romantic encounters, is far more interesting, so Ruth steals the stories for herself. This comes with an 8-page booklet. The only feature is the Original Theatrical Trailer (2:54; HD). Twilight Time releases My Sister Eileen onto Blu-ray presented in its original 2.55 widescreen aspect ratio and given a great looking 1080p high-definition transfer which shows off excellent and crisp looking detail and vivid/bright colors. The disc includes a standard but respectable DTS-HD Master Audio 5.1 track as well as a 2.0 option and Isolated Music Track (with some dialogue and effects). 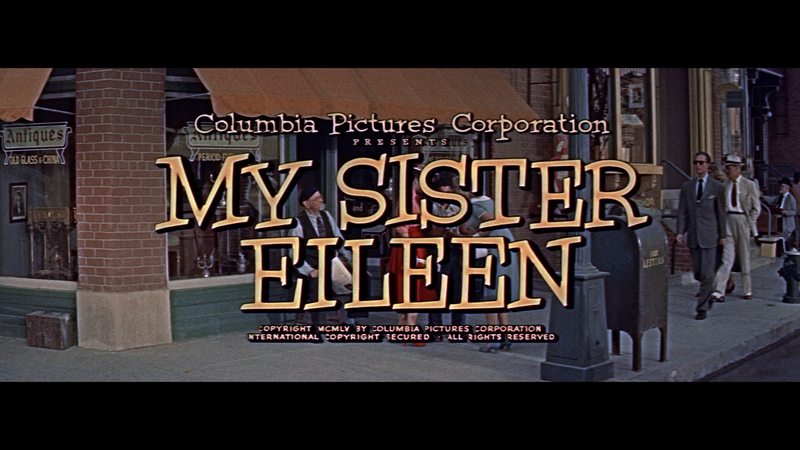 Overall, My Sister Eileen is a cute and fun 1950s-era comedy-musical with many of the tropes you would expect from the era, and all of it enjoyable thanks to three wonderful performances by Janet Leigh, Betty Garrett and Jack Lemmon.